Article: Are your employees integrators or segmentors? Are your employees integrators or segmentors? An organization has both integrators and segmentors. Being a segmentor is a tough ask. If you choose to be an integrator, it is important to set boundaries. “I have diagnosed you with civilization's disease: burnout. And there's nothing the medical profession can do for you. You have to change your life,” Arianna Huffington paraphrases what the doctors told her when she collapsed in her office, as she talks about overworking with Adam Grant in an episode of WorkLife. People of all group have fallen prey to burnout. Work-life integration has been identified as one of the main reasons behind it. A behavioral concept, which is an antithesis to ‘work-life integration’, also exists – it is known as ‘work-life segmentation’. Who are integrators and segmentors? Segmentors set very clear boundaries for themselves. When they are at work, they are 100% at work. When they are at home, they are 100% at home; no aspect of the workplace enters their personal space. Not even talking about their work in personal time. There are some extreme segmentors, who consciously keep the two entities separate at every cost – example, they wouldn’t have pictures of their family on their office desk. One example, Rothbard shares, is of a firefighter who would not wear his work clothes and boots to his home, he would not hug his family until he had taken a bath. Integrators, on the other hand, are happy to integrate the two. In the era of “smart” devices popping reminders on our faces all the time, integrators can’t really leave work even when they leave work. They have an urge to constantly check for work updates and be connected. This is what leads to overwork, and results in burnout. What does it mean in the context of work-life? Employees could choose to be segmentors, but it is important to understand that many choose to be workaholics – they may want to integrate work and life. Is total segmentation even possible? It requires immense emotional maturity to completely shut off from work once you step out of the workplace. Had a bad day at office? You may confide with a close friend. Got recognized in the team meeting? You may want to celebrate with your peers. There would be spill-overs – some of your colleagues would be your friends – both at and outside work. We are all social beings, and make personal connections at work as well. Cases of extreme segmentors could be treated as outliers. People who have separate keychains for office and home. People who first shower after reaching home from work, and later come in physical proximity with their family. People who despise family days in office. They are a rarity. Integrating work and life may be a personal choice consciously made by some people; for others, it would be an obligation because of a work-overload. One thing is common in both cases – it is hazardous to health – something which Arianna Huffington found out when she regained consciousness in the emergency room. Legislative measures: Countries like France have a 35-hour work week, anything above it is considered overtime. French citizens also have the ‘Right to Disconnect’, wherein the “employee is under no obligation to bring work home.” There is the recent example of a firm in New Zealand successfully experimenting with a 4-day work week, and now there are talks of making it permanent. Removing technology distractions: An experiment found that by having the phone on your work desk can reduce your working memory by 10 percent. It makes it hard for you to concentrate. A practice that famous director Christopher Nolan follows is disallowing the presence of mobile phones on the film set. Hard to establish causality between the creativity of his films and an absence of mobiles at their workplace – but something seems to be working! Turning off pop-ups/notifications on your desktop is another simple yet effective way to focus. Quiet time policies: At an organizational level, a company experimented with using what they called a “quiet time policy.” They designated three days of a week where nobody could interrupt a co-worker before noon. The result? A rise in productivity for two-thirds of the employees. Basecamp, a company which has developed a project management tool (by the same name), has a very simple formula – if a work cannot be completed in 40 hours in a week by the 51-people team, they eliminate it. The founders believe in the philosophy of “Deep Work”, respect the time of their co-workers, and encourage focused work. Google, to study employee behavior has set up a People Innovation Lab. The tech giant is conducting long-term research to understand work. They have named it gDNA. 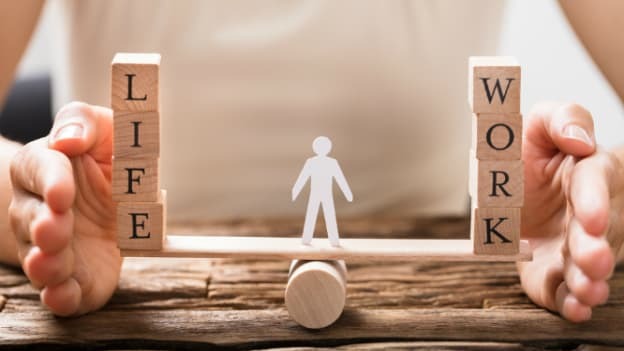 In their study on work-life balance on a representative sample of 4000 Googlers, they found that for most work and life is inseparable. 31% of people were able to segment work and personal life. The rest 69% are integrators, and what is worth noting that almost half of them want to be better segmentors – remove work from their minds in their personal lives. What this implies is that while there might be people who are workaholics and conscious integrators, there are many who have become one, and not necessarily by choice. The good thing is they want to get out, now work needs to be done in enabling them to do so. The aforementioned strategies could be a good starting point.